ORC rejects Windsor and Flamboro's requests for reduced dates. ORC thinks they want too many dates cut. Anti gambling official scams Alberta to feed his gambling habit. Magna rep presents new big pool wager and gets shot down. The reason shows how racetracks think they see the big picture but don't. Note to Dan Loiselle: You had a big audience during the build up of the Super 7 pool and you were not impressive. Focusing on the horses odds instead of the race was not needed. And it was apparent that you were hoping for longshots and routing against favorites. In other words you were routing against the fans. A big no no. Year Stats Against The Spread: 22 Wins, 11 Losses. No slots, Sandown closes down for harness racing after 150 years. ORC to appeal O'Dwyer ruling. Maryland officials optimistic about getting racetrack slots. After going 1 and 2 last week my record against the spread this year is now 20 wins 10 losses. Baymount also selects racetrack designer. "Alternative Financing Sources in Racing and Gaming." added to upcoming Racing Symposium. Polytrack kickback a major problem at Woodbine. No Canadian horses hit the board in the Breeder's Cups races. Oh wait, none were entered. Pretty shameful, considering all the bucks that go into the Canadian game, especially in Ontario, especially WEG. Changes need to be made. Heads need to roll. Season record against the spread 16 wins 8 losses. 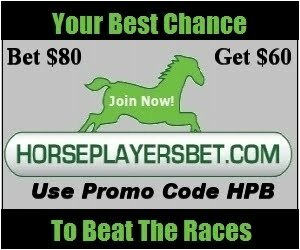 Cal Racing offers free race replays, including Woodbine. New Online Gaming Commission in Canada?